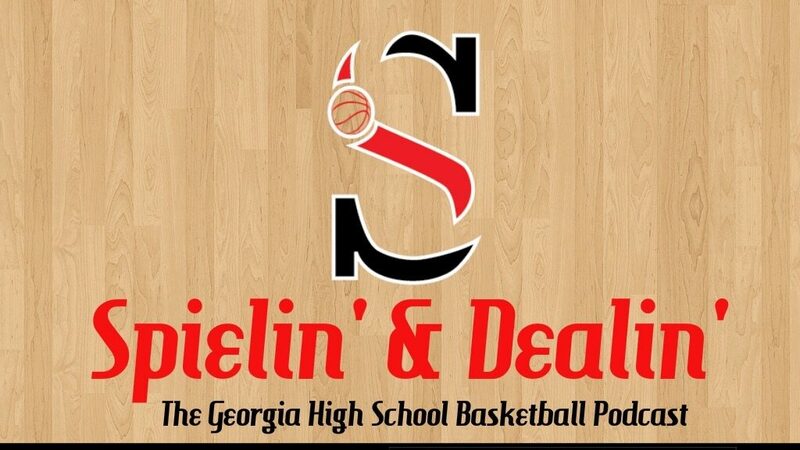 Kyle Sandy provides a quick breakdown of the hottest headlines through Week 1 of the GHSA basketball season. Milton 67, No. 4 Discovery 63: Milton hit 11-of-12 free throws in the fourth quarter to sink Discovery. Evan Hurst led the Eagles with 18 points while Malachi Martin posted 15 points and 12 rebounds. Donaven Hairston finished with 15 points, 8 rebounds, 4 assists and 5 steals. In the loss, Jaden Walker tacked on 18 points and 5 rebounds for Discovery. Hasahnn Reynolds had 12 points and 7 rebounds while Longwood-signee Leslie Nkereuwem finished with 12 points and 9 rebounds. No. 3 Madison County 64, Cedar Shoals 45: Old Dominion-signee Jordan Bailey pumped in 30 points and 17 rebounds followed by Kayla McPherson’s 10 points. Sydney Armstrong and Mallory Bates added 9 each. Class AAAAAAA is still trying to sort itself out early on in the season. No. 1 Collins Hill has a hold of the top spot but the pack is closing in. No. 9 Norcross, who drops three more spots, took Collins Hill to double overtime before falling 72-64. The Lady Blue couldn’t ride that momentum as they lost again to Class 6A No. 3 Northview 57-50. No. 3 Cherokee won an ugly low-scoring Keller Williams Classic Championship over host No. 8 North Forsyth 31-28. The Lady Warriors picked up the pace later in the week with an 80-43 rout of Mays. The bottom of the poll sees some teams on the climb after Brookwood (2-2) exits. The Lady Broncos were blown out by Class 5A No. 5 Eagle’s Landing 71-51 and by a young Sequoyah team 69-47. Brookwood’s slide from No. 4 to unranked opens the door for No. 4 Hillgrove and No. 5 Pebblebrook to round out the Top 5. 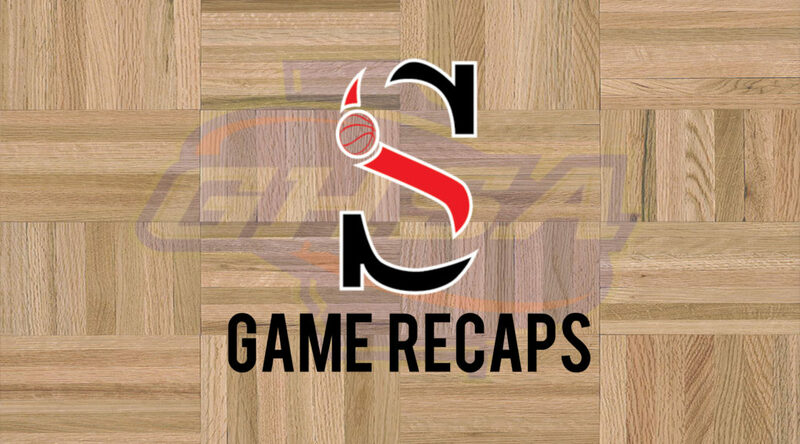 Hillgrove suffered a 59-48 loss to Cherokee but bounced back with a 57-54 win over Class 2A No. 6 Douglass. Pebblebrook took care of Alexander 69-44 before beating Creekside 56-48. No. 6 McEachern rises three spots following a 67-52 win against Parkview while No. 7 Grayson does the same, beating last week’s No. 1 team in Class 3A, the defending state champs Johnson-Savannah 73-62. Debuting in the poll is No. 10 North Cobb. The Warriors have wins over Class 5A No. 9 Arabia Mountain 54-39, Class 4A No. 10 Marist 58-39 and Riverwood 45-24. They put their shiny new ranking on the line as they visit No. 3 Cherokee this Tuesday. No. 1 Lovejoy lost both games at the Thanksgiving Hoopfest in Duncanville, Texas, but there is no need to panic in Class AAAAAA just yet. The Wildcats lost to DeSoto (TX) 53-36 and to Duncanville (TX) 43-39 while No. 2 Forest Park continued to make hay back in Georgia, dismantling Newton 49-22. Circle December 8th for not only the SportalShowcase, but for when Lovejoy visits Forest Park. The Panthers have the biggest frontline in Georgia going 6-foot-4, 6-foot-4 and 6-foot-2 with Destiny Thomas (UCF) and super sophomores Sania Feagin and Jasmine Stevens. They will test Lovejoy’s lack of major impactful size in the frontcourt. No. 3 Northview isn’t in the league of Lovejoy or Forest Park yet, but they picked up a 57-50 win over Class 7A No. 9 Norcross behind Asjah Inniss’ 18 points and the trio of Markiema Lancaster (13), Ashlee Austin (12 – Rice) and Maya Richards (10 – Charleston Southern). No. 6 Douglas County sinks two spots after struggling to score in a 43-40 loss to Class 5A No. 7 Woodland-Stockbridge. The Lady Tigers were tied at 30 heading into the fourth quarter before Clemson-signee Amari Robinson left the game and did not return for the final period for an undisclosed reason. She finished with 12 points, 7 rebounds, 1 assist, 3 steals and 1 block in three quarters of action. No. 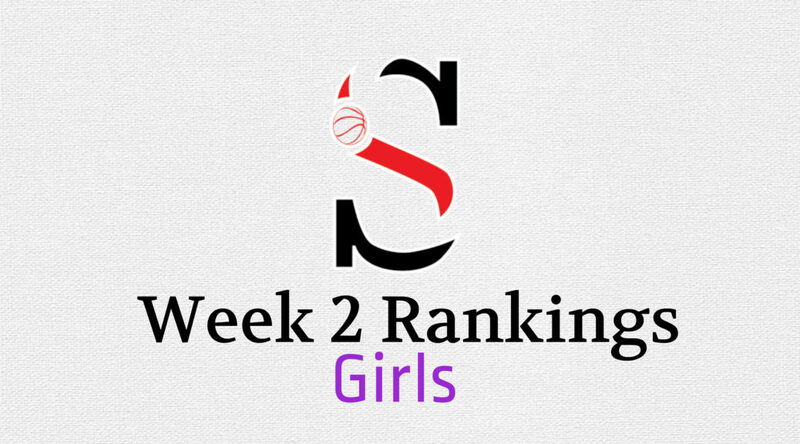 5 Stephenson moves into the Top 5, bouncing back from a 60-49 loss to Class A-Private No. 1 Wesleyan to beat Class 3A No. 7 GAC 56-50. No. 7 Valdosta holds tight at No. 7 after losing to Class 5A No. 2 Buford 70-46 but beating Class 3A No. 2 Johnson-Savannah 55-53. In Class AAAAA, No. 1 Villa Rica held off Class 3A No. 2 Johnson-Savannah 53-43 thanks to Kentucky-signee Deasia Merrill’s 17 points, 14 rebounds and 7 assists. Just when it looked like No. 2 Buford could be sliding back to the pack, the Wolves earned statement wins over Class 6A No. 7 Valdosta 70-46 and Class 7A No. 7 Grayson 67-58 to prove they are still in the title hunt. No. 4 Southwest DeKalb defeated No. 7 Woodland-Stockbridge 69-57 after the Wolfpack edged Class 6A No. 6 Douglas County 43-40. No. 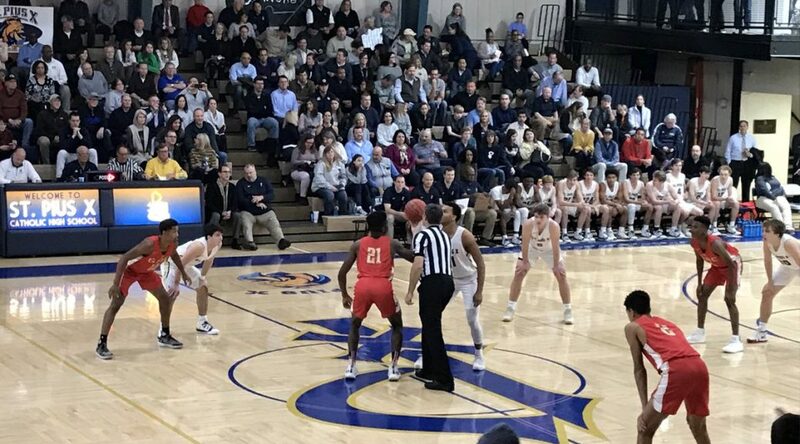 5 Eagle’s Landing fared well against Class 7A beating Brookwood 71-51 and Lambert 53-19 but struggled against the best in Class 4A losing to No. 2 Carver-Columbus 70-52 and No. 1 Spalding 60-53. No. 8 Carrollton tipped-off their season with a 51-33 drubbing of Fayette County. Lithia Springs (2-2) and Wayne County (2-1) exit the Top 10. The Lions lost to Alexander 47-39 while the Yellowjackets were stung by Class 2A No. 1 Dodge County 62-50. Cracking the poll are No. 9 Arabia Mountain and No. 10 Statesboro. The Rams, anchored by 6-foot Anderson-signee Kennedi Manning and tough combo guard Alina Shoemake, hold wins over Roswell (71-49), Marietta (48-39) and Woodstock (57-54) with their lone loss 54-39 to Class 7A No. 10 North Cobb. Statesboro is coming off a 62-26 win over Cross Creek. No. 1 Spalding tipped-off their Class AAAA title defense by beating Langston Hughes 54-38 and Class 5A No. 5 Eagle’s Landing 60-53. No. 2 Carver-Columbus answered with a 70-52 victory against Eagle’s Landing. No. 3 Henry County is hitting their groove as well. The Warhawks went 3-0 at the Beach Bash at Gulf Shores and returned home to beat Ramsay (AL) 60-49. 5-foot-9 senior guard Briana Juniel has proven to be an immediate difference maker for Henry County. The transfer from Sacramento already has 1,300+ points in her career and has been picking up major D-I interest. After spending a week out of the poll, No. 6 Luella shoots right back in to replace Baldwin (1-1), who was beat 64-42 by Jones County. Luella scored wins over Dutchtown 56-42 and Class 2A Preseason No. 1 Josey 65-48. Freshman Paris Miller posted 26 points, 7 rebounds and 4 assists against Josey while junior Keely Brown has been averaging 21 points, 12 rebounds, 7 assists and 2 steals. Defending Class AAA state champion No. 2 Johnson-Savannah slides one spot after their 1-3 start. The Atomsmashers have tested themselves but have come up short thus far, losing to Class 7A No. 7 Grayson 73-62, Class 6A No. 7 Valdosta 55-53 and to Class 5A No. 1 Villa Rica 53-43. You won’t find a tougher start to the season in Class 3A considering that Johnson now travels to crosstown rival No. 1 Beach on Tuesday. The Atomsmashers come in much more battletested than the Bulldogs who have beaten up on Bradwell Institute 62-52 and May River (SC) 75-39. No. 4 Jefferson shoots up six spots after beating No. 5 Hart County 64-54 to win the Tabo’s Tip-Off Classic Championship. Sophomore Livi Blackstock was named tournament MVP after scoring 15 points in the title game in support of freshman Natalia Bolden’s 18. The Dragonettes withstood a 27-point outburst from Western Kentucky-signee Torrion Starks. Inactive Cook (0-0) exits the poll temporarily and is replaced by No. 9 Tattnall County who has wins over New Hampstead 66-35 and at Effingham County 53-44. The Warriors are powered inside by 5-foot-10 senior post Kayla Garrett. Having a newfound target on their back in Class AA hasn’t gone so well for No. 7 Josey, who sinks four more spots. The Eagles have played pretty good competition, earning a 66-49 win over Class 7A North Gwinnett but losing to Class 4A No. 6 Luella 65-48. Josey opened the season with a 68-43 loss to Class 6A No. 7 Valdosta. The Eagles’ two blow out losses look bad in comparison to No. 6 Douglass who climbs three spots after three losses. No one in Class 2A has even come close to challenging themselves like the Lady Astros have. Even though they went 0-3 last week, no one can say they’ve played as well as the Stros did. Douglass lost 51-50 to Class 7A No. 8 North Forsyth, 57-54 to Class 7A No. 4 Hillgrove and 62-53 to Class 4A No. 5 Flowery Branch. All of Douglass’ pretty losses won’t mean a thing if they can’t handle their business in Class 2A play, but their results point to a team being able to compete with anybody on any given day. Jacksonville State-signee Nekiyah Thompson and the rest of the Astros are more than able to run the table the rest of the regular season. No. 1 Dodge County knocked Class 5A Wayne County from the Top 10 with a 62-50 victory paced by Destanee Wright’s 23 points and Europe Brown’s 19. No. 2 Swainsboro went on the road to crush Dublin 71-35. No. 4 Laney creeps up another spot even after seeing their 64-game winning streak snapped in a blowout loss against North Augusta (SC). No. 3 Rabun County and No. 9 Banks County will have golden opportunities to snag resume building wins at the North Georgia Showcase. Rabun County battles North Forsyth while Banks County takes on Class 3A No. 3 Dawson County. No. 1 Wesleyan continues to cruise in Class A-Private, beating Class 6A No. 5 Stephenson 60-49 and Class 6A No. 10 Pope 69-42. No. 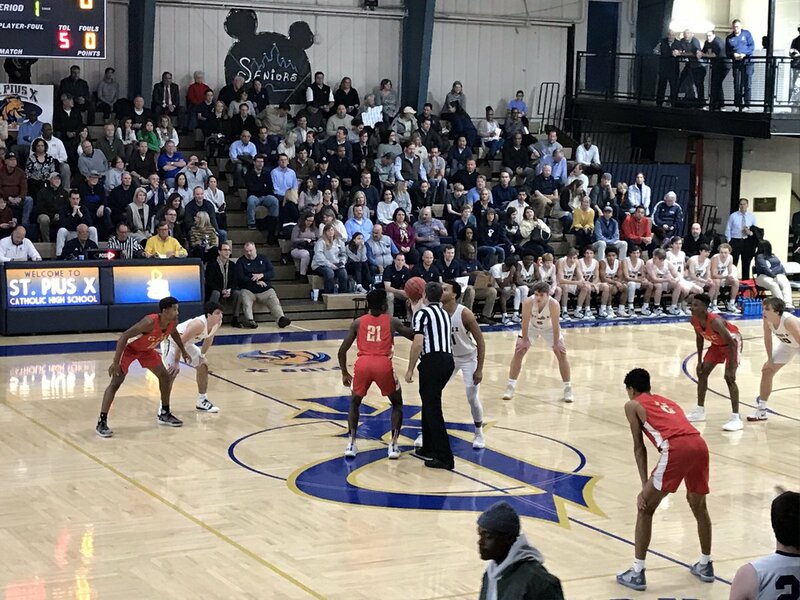 8 ELCA plummets five spots after a rough start to the season, losing to McMinn Central (TN) 60-46 and Collierville (TN) 74-49 at the Bradley Central Thanksgiving Tournament. The Chargers only had six players available and are dealing with eligibility issues. No. 4 Stratford Academy jumps two spots after wins over No. 9 Athens Academy 70-47 and Prince Avenue 55-35, who exits the poll (0-2) after also losing to Rutland 47-46. Also departing is Landmark Christian (1-3). The War Eagles lost 67-38 to Creekside. Into the rankings are No. 7 Calvary Day and No. 10 Darlington. Calvary Day has been one of the most consistent winners in Class A-Private, posting a 27-3 record a year ago. The Cavaliers have wins over Evans 65-40 and Islands 58-25 to open the year. Darlington has beaten Armuchee 71-40 and Calhoun 52-22. Class A-Public may have a new title challenger in No. 4 Georgia Military. The Bulldogs were 10-0 to open last year with Deandria Stephens before she lost eligibility. Stephens is back for her sophomore season and has GMC rolling again, upping her average to 18 points per game early on. If she is able to make an impact all season, the Bulldogs are likely to improve upon last year’s 24-4 mark. They have already hammered First Presbyterian Day 63-19 and Tattnall Square 57-24. No. 2 Wheeler County looked human in an ugly 35-32 win over Jeff Davis. Defending champs No. 6 Greenville have wins over Shaw 69-61 and Kendrick 70-42 to highlight their opening week. Bowdon (1-2) exits the poll after losses to Central-Carrollton 46-45 and Bremen 60-55. The Sheryl Brown era is off to a rocky start at Taylor County (0-2). Legendary Head Coach Matt Troutman is gone and so are the wins for the Vikings, losing 59-17 to Heard County and failing to score in the second half against Upson-Lee in a 71-13 disaster. Entering the Top 10 are No. 9 Central-Talbotton and No. 10 Quitman County. Both teams have wins over Jordan, Central cruising 64-33 and Quitman winning 65-46. Central lost 56-42 at Class 5A No. 3 Harris County.